Chinese handset manufacturer ZTE has sent out media invites announcing the launch of two Nubia smartphones. The Nubia Z11 and Nubia N1 are set to launch in India on December 14 at an event in Delhi, where the pricing and availability of both the devices will be revealed. The Nubia Z11 was first launched in China in June, and was then released in other markets eventually. In China, the device with 4GB of RAM and 64GB storage is priced at CNY 2,499 (roughly Rs. 25,000), while the variant sporting 6GB of RAM and 128GB storage is priced at CNY 3,499 (roughly Rs. 35,000). 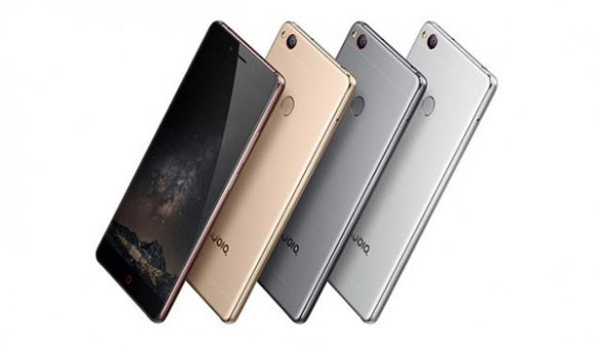 The Nubia Z11 handset features a 5.5-inch full-HD (1080x1920 pixels) 2.5D display and is powered by a 2.15GHz Qualcomm Snapdragon 820 quad-core processor. Both the storage variants support expandable storage via microSD card (up to 200GB). As for optics, it sports a 16-megapixel rear camera with dual-tone LED flash, PDAF, and OIS. There is also an 8-megapixel selfie camera with f/2.4 aperture. The handset packs a 3000mAh battery and supports Quick Charge 3.0. It houses a fingerprint scanner on the rear panel, and offers connectivity options like Bluetooth, GPS, Glonass, Wi-Fi 802.11 a/b/g/n/ac, 4G, GPS/ A-GPS, 3G, and USB Type-C. It measures 151.8x72.3x7.5mm, and weighs 162 grams. The ZTE Nubia N1 was launched in China a week later for CNY 1,699 (roughly Rs. 17,200). It features a 5.5-inch (1920x1080 pixels) full HD display with 401ppi pixel density, and is powered by a 64-bit 1.8GHz Mediatek Helio P10 octa-core SoC paired with 3GB of RAM. The smartphone offers 64GB of inbuilt storage, alongside the option to expand it via microSD slot (up to 128GB). Optics include a 13-megapixel rear camera with PDAF, f/2.2 aperture, and LED flash. The selfie camera is also at 13-megapixel with beauty filters, and smart fill light for better night photography. The ZTE Nubia N1 packs a 5000mAh battery and a fingerprint sensor at the back that claims to unlock the smartphone in just 0.2 seconds. Connectivity options include 4G LTE with VoLTE, Wi-Fi 802.11ac, Bluetooth 4.1, GPS + GLONASS, and USB Type-C support. Both the smartphones run on Nubia UI 4.0 based on Android 6.0 Marshmallow and comes with hybrid dual-SIM which means it supports one Nano-SIM card in one slot, and a nano-SIM or microSD card in the other slot.